So, the recipe for these scrump-dittily-uptious cookies came from my MaMa's babysitter (from when she was growing up...I'm the one that needs a babysitter these days, not her), Heather. 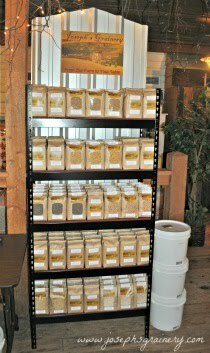 Heather and her family were recently highlighted in the "My Favorite Recipes" section of the Whitman County Gazette. This is one of her favorite recipes that she shared in that article. I think it may quickly become one of my favorite recipes as well. MaMa likes that idea, as there's no refined sugar in them, just all natural honey! 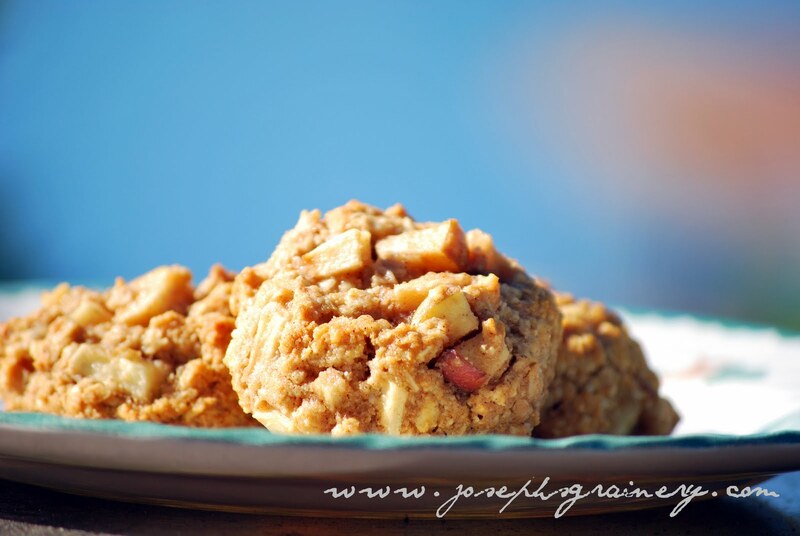 Apples and oatmeal make for a tasty treat. Preheat the over to 375 degrees and grease your cookie sheets. In a large bowl, cream together the butter, honey, egg and vanilla until smooth. Combine the whole wheat flour, baking soda and cinnamon; stir into the creamed mixture. 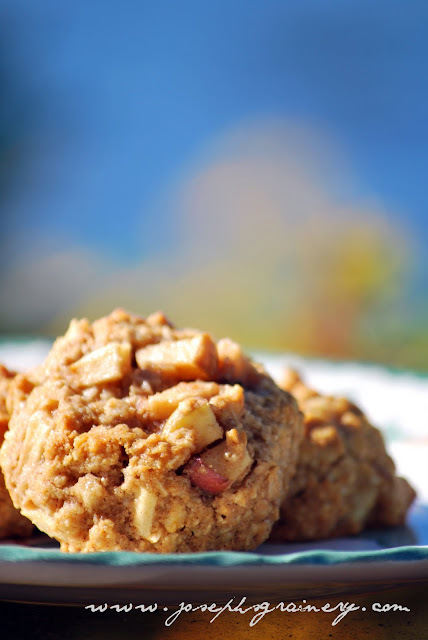 Mix in the oats and apple. 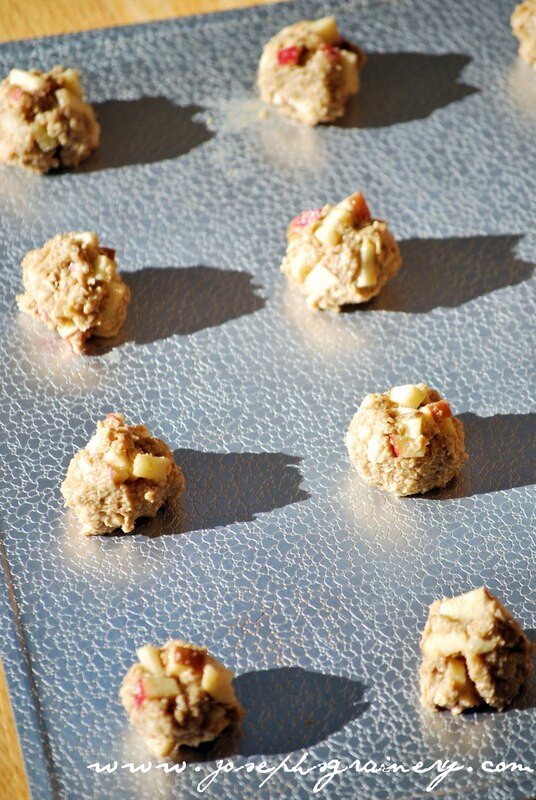 Drop by teaspoonfuls onto the prepared cookie sheets. Bake for 8 to 10 minutes in the preheated oven. Allow the cookies to cool on a baking sheet for 5 minutes before removing to a wire rack to cook completely. Stick them in the oven and enjoy a tasty and halfway healthy treat in 10 short minutes!